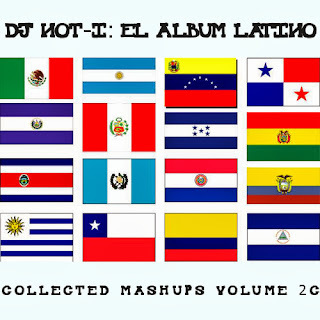 This collection consists of single versions of all the mashups featured on not-i-podcast-02: la edición latina as well as a few Latin-themed bonus tracks. It is the last installment in Collected Mashups Vol. 2 (those made in 2007). In accordance with the title and theme, much of the lyrical content is in Spanish, yet these juxtapositions are quite eclectic and roughly half of them mix English-language lyrics with Latin-flavored instrumentals - many of them include both languages. Hence, you don't have to speak Spanish to enjoy this album. In fact, I don't know much Spanish myself, but the highly melodic character of the Latina/Latino vocals featured here (including the reggaeton "rapping") suggested several fascinating combinations, which along with many of the tracks on Vol. 2a, marked my final departure from strictly hip-hop blends into truly melodic mashup territory. 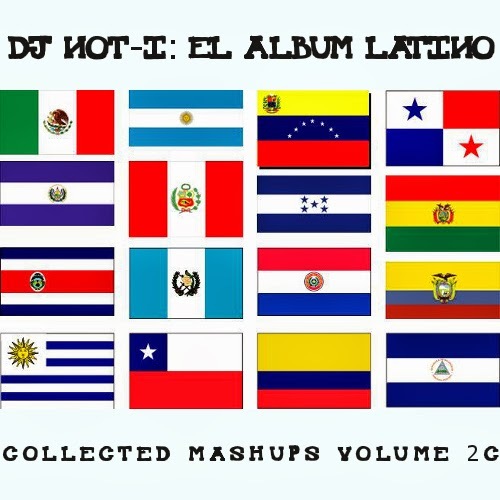 In this collection you will hear top reggaeton artists like Tego Calderón or Voltio sing-song-rapping over jazz and dub reggae as well as Latin singers such as Don Omar, Notch, or Orquídea Negra of L.D.A. soaring over Jean-Michel Jarre and The Police. You will also hear underground rappers J3hst (UK) or The Perceptionists (US) spitting poison over slick-and-smooth-as-silk reggaeton instrumentals as well as Tweet waxing R&B-style over Santana and soul queen Jill Scott testifying over the Latin-heavy drums of Swizz Beatz. There is also a bit of The Simpsons en Español. Variety is key here, yet regardless of genre, language or style, all of these mashups have a decidedly Latin flavor and, perhaps because of it, all of them are quite danceable. ¡Pásalo bien! Love, DJ not-I. 9. Call Me La Puesta (Que No, Dicky Ranking & Don Abusivo vs. Tweet vs.